You can change backlight color, when using red backlight, setting the brightness to 10% makes it possible to view the backlight through night vision goggles. 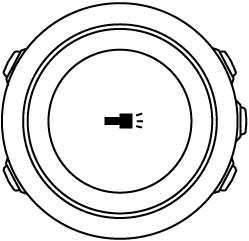 In addition to normal backlight modes, Suunto Traverse Alpha has one additional mode where the backlight is automatically set to maximum brightness and can be used as a flashlight. To activate the flashlight, keep LIGHT pressed.